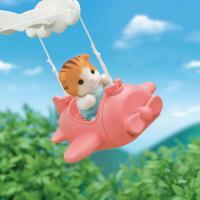 Baby Airplane Ride includes a turning two-plane ride and Maple Cat Baby. Baby Airplane Ride's airplane height can be adjusted. The base of this fun ride is shaped like a cloud, and the top portion of the pole comes with a sun decoration, giving the impression of soaring in the sky above the clouds. 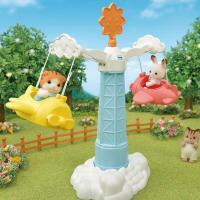 Play alongside Baby Ferris Wheel, and create an amusement park for babies with plenty of fun rides (sold separately). 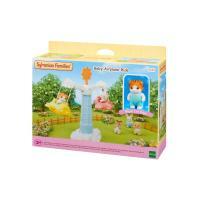 *Suitable for ages three years and above"